Kick Your Eating Addiction Using a Scientifically Proven Method Can Master! Do you feel like you being kept prisoner by your insatiable urges to eat? Would you like to be healthier and fit, but you can’t seem to manage, because you’re simply not able to resist giving into cravings? Have you tried dieting and exercising numerous times before giving up, failing again and again, and returning to the same weight or even adding more on? You need to face facts – you need to lose weight and you need to now! You may not know it but you are addicted. Sugar is a drug as addictive as any other. Think about it! When you eat it, it makes you excited and happy. But just once is never enough. Soon after your sugar fix, you feel hungry, nervous, drowsy, and ready for another dose of sugar. You can’t keep off it though. No matter how hard you try, your body will call out for another fix! But once you get it, the cycle repeats all over again. The sugar in your diet puts on more weight every time and pushes you closer to morbid obesity with every bite. 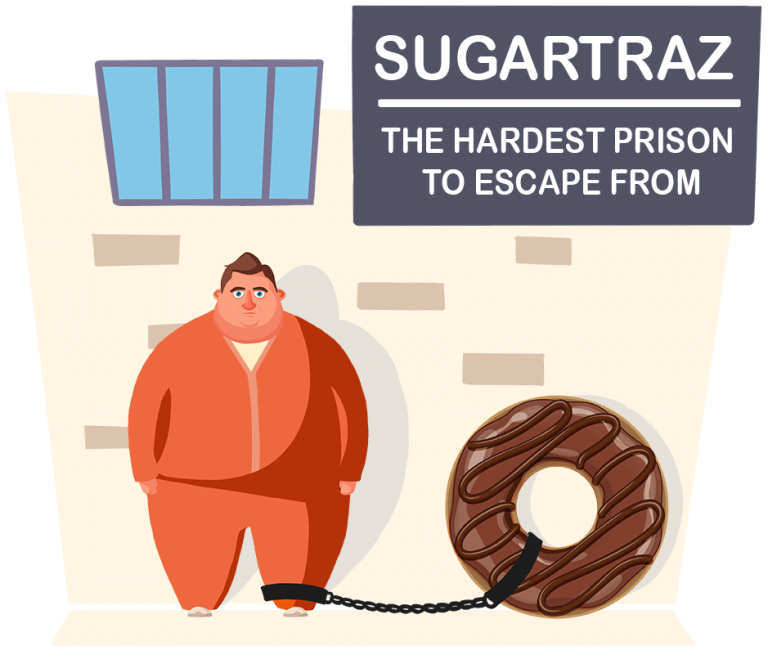 Your addiction to sugar is why we all fail to achieve weight loss and end up so much heavier and disappointed after attempt to get ourselves thinner. Product is instantly available as a digital download. Book illustration is for visualization purposes only. It covers everything you need to know in order to start living a healthier lifestyle. It will teach you how junk food and sugar are addictive, how your addiction to them developed, and how to stop your addiction before it starts killing you. Let’s Quit Sugar! will let you in on all the secrets the food industry uses to keep you fat and doesn’t want you to know (*author's opinion). Once you have mastered the “Let’s Quit Sugar!” system, you will learn how to beat your addiction to eating sugar and junk food. You will know everything there is to get lean and stay that way. It’s not just another diet plan that will leave you starving, exhausted and disappointed. What will you accomplish with this system? Change your mindset and relationship towards fast food and sugar so you start losing weight today. You will start living a sugar and junk-food free existence by changing all parts of your life that make you addicted so you can stay healthy and thin. Go about your regular day and do not feel the compulsion to give into sugar and junk food. Incorporating good-for-you meals and snacks into you daily routines. The “Let’s Quit Sugar!” system does not insist you follow a fad diet or purchase diet gimmicks. It tells you how to eat healthy in every environment and situation. Buy Program how to reduce sugar Let’s Quit Sugar at a discount ✅ at a promotional price of $47. To get a discount ⭐ 50%, order now! ✌ Get a discount from HotPolkaDot.com!